The 9 Best Pet Stores in Mississippi! It used to be that when someone wanted to add a new kitten, puppy, or exotic animal to the family, all it took was a trip to the local pet shop. From Biloxi to Jackson, we've rounded up the best pet stores from across the state of Mississippi! The Pet Palace in Hattiesburg is an old-fashioned family-owned pet shop in Hattiesburg. They've been serving the Pine Belt area for nearly 10 years, so you can trust that they know how to care for their animals. You'll find an eclectic selection of small pets, including chinchillas, rabbits, chameleons, and more. The Jungle Exotic Pets is the kind of pet store you imagine from childhood—full of fascinating fish and animals you may have never seen before. 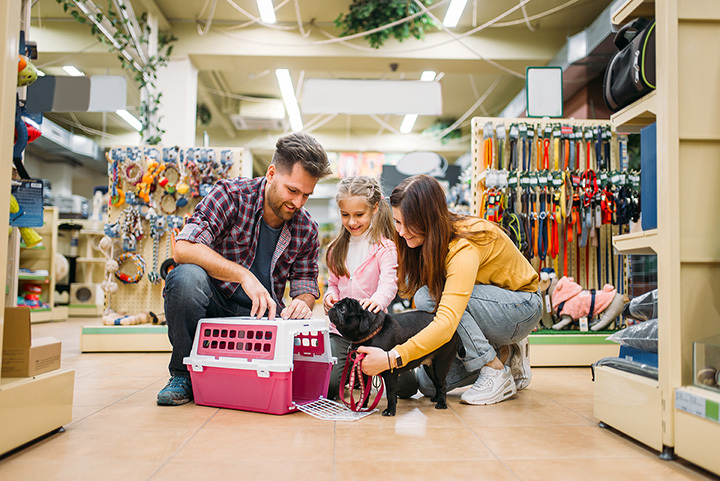 The knowledgeable staff here will tell you everything you need to know about caring for your new pet, and they carry all the supplies you'll need as well! Whether you're looking for fish and exotic pets, grooming services, or doggy daycare, you'll find it at Starkville's Pet Store. And as a bonus, Mississippi State students and faculty get 10 percent off any purchase! If your pet of choice is a low-maintenance, beautiful aquarium full of fish, you'll love Just Fish in Biloxi. The expert staff will help you select the perfect fish and perfect tank. They'll even test your water if you're having any issues. You won't find a better selection of saltwater fish anywhere around! If there's one neighborhood in Mississippi you can trust to have a modern pet shop it’s in Jackson. Although they do not carry animals, the Pet Shop has everything you'd expect to find in this progressive neighborhood, from organic pet food to stylish, handmade collars leashes and fun toys. Two Dogs Dancing is a charming little doggy boutique in the artsy community of downtown Ocean Springs. The owners are helpful and friendly, and you're sure to be impressed by their selection of custom merchandise. And of course, your pup is always welcome to accompany you! TailWaggers is the place to go when you need to buy accessories for a seriously pampered pooch. The staff here has a keen eye for the cutest toys, collars, beds, and more. They also carry an extensive line of doggy spa products! Gone Fishin' is one of those places you want to support just to see them stay around. Not only are they locally owned, but they also carry a wide variety of name-brand products at discounted prices. In addition, the shop is home to a pet library to educate you about the products you need. Pet Krazy in Grenada is another classic pet shop offering small animals and a variety of supplies for your beloved pet. They double as a rescue, taking in homeless pets and rehoming them. Feel free to bring in your pup—they're even welcome to try on their new clothes before you buy!